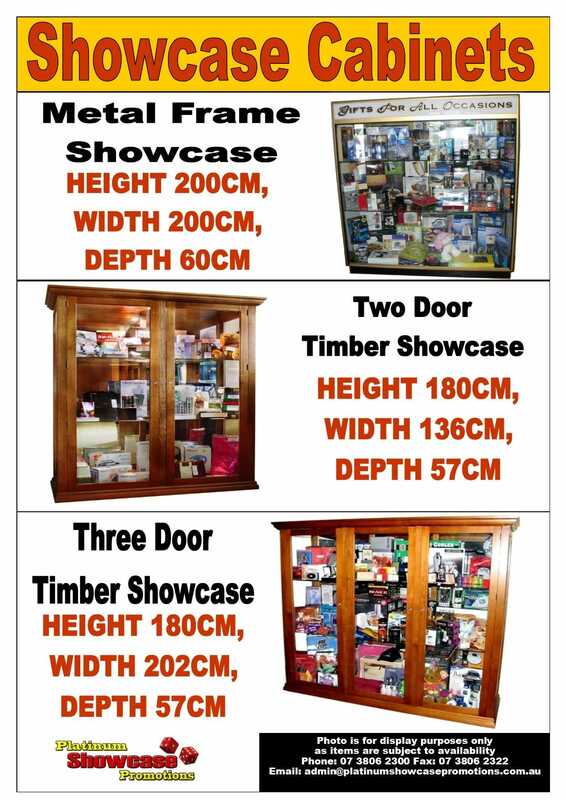 Platinum Showcase Promotions provides a range of two and three door showcases manufactured in aluminium, glass and timber. The timber two and three door range are made from quality Tasmanian Oak with toughened glass and look great in any venue. We deliver, clean and set up free of charge. 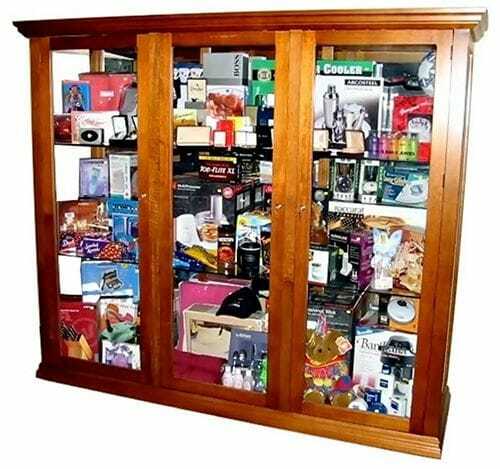 All products, excluding food and assuming they are in original condition, can be returned for a credit so you are not left with outdated stock. Staff are shown how procedures work and all goods are supplied with removeable labels compatible with your points system. Special orders are never a problem - if you want it, we can source it!